Christmas is not complete without this mischievous and funny character! 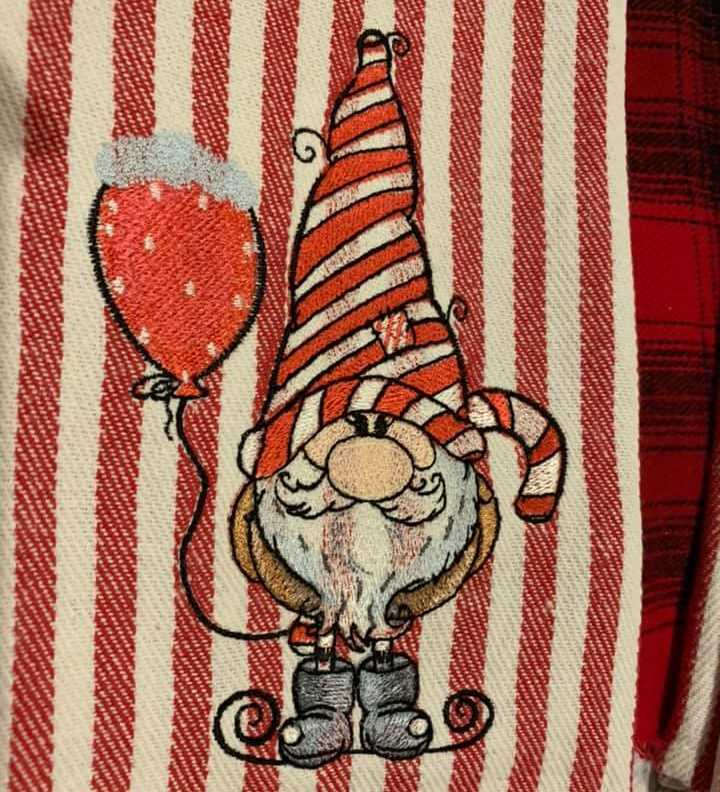 Take a look at this adorable embroidery design featuring a Christmas dwarf in a striped red and white hat. 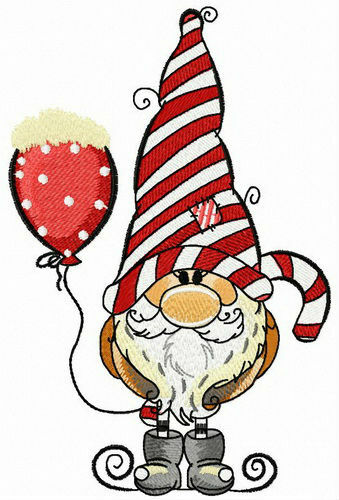 The dwarf has a luxurious long beard and is wearing a pair of grey snow boots. In his hand, he’s holding a snow-capped red balloon on a string. The dwarf looks delightfully comical with his large nose and curious little eyes and there’s even a small patch on his hat. 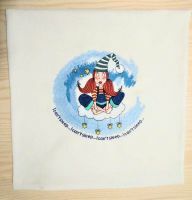 You can use this creative application to enhance all sorts of items, from sweaters, towels and pajamas to blankets, quilts, bathrobes and cushions. Gnome looks great. Awesome to deal with. I am sure I will be back! Thanks a bunch! I love winter and Christmas holidays! It's a great pleasure to prepare gifts for dear people! Ordered the gnome with the balloon pattern. Great purchase. A very nice dwarf! 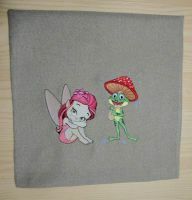 Embroidered wonderfully on my Xmas napkins. Thanks to the seller! Love shopping on the embroidery site. I have tested all 3 design sizes. 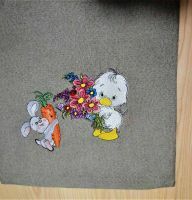 GREAT job on the embroidery digitizing! I love it. Gnomes is my favorites. I wished everyone did! ;) This seller is highly recommended! I will be back! Thanks again on the instant email after purchase with design file! Thanks so much! Very nice seller!